Ama Dablam 29 days Expedition is a moderate trek. Travelers who can walk up to 6-7 hours a day on an uphill and downhill trail will find this trek fulfilling. It is best that we prepare ourselves for the Annapurna trek by jogging and exercising regularly at least a month prior to the start of the trek. Trekking to the Everest Base Camp should be relatively easier for those who have experience walking/trekking in a high altitude environment. Past hiking experience would be an asset but no technical skill is required for this trip. It is also important that we consult our doctor. Participants with pre-existing medical conditions such as heart, lung, and blood diseases should inform Discovery Mountai Trek before booking the trek. The best time to trek to the Ama Dablam Expedition is Spring (February to May) and Autumn (September to November). The temperature is moderate in these seasons and guarantees amazing views through the trip. Although this trek can be undertaken during winter, the cold temperature might not be suitable for everyone. crevasse, and finally get to the summit. official climbing permits might not have been so ubiquitous back in the days! us at least two months prior to your arrival in Nepal. Expedition from Discovery Mountain Treks. After breakfast, you will take you on a sightseeing tour of some iconic places in the Kathmandu valley that will essentially include UNESCO World Heritage sites. In the evening, you will be given a brief about the expedition to Mt. Ama Dablam. After breakfast, we begin the trek on our way to Tengboche, a beautiful Khumbu village. Splendid views of Everest, Ama Dablam, and other peaks, are the primary attraction of your trek today. The trail is lined with alpine forests on the way to the village, which is the home to Tengboche Monastery – an iconic monument in the mountains and the subject of several movies and documentaries. Begin early after a quick breakfast to capture the scenic panoramas. Today’s destination Pangboche is yet another beautiful Sherpa village located very close to Ama Dablam. Stay overnight in a lodge or you can choose to camp outside with excellent views of Ama Dablam and other mountains. Looking forward to an exciting trip ahead, today you will begin from Pangboche in the morning. Crossing the scenic Imja-tse River, you will take an uphill trail to arrive at the foot of Mt. Ama Dablam. Here, take some time to pause and gaze upon the beauty of the towering mountains. This is the the Ama Dablam Base Camp. After a few days of continuous trek, you need to acclimatize some more before taking on the challenge of the summit. Today, save up on energy but don’t forget to take tiny hikes around – as today you will be mentally and physically preparing for a climb up a majestic peak in the coming weeks. During these days you will be preparing the equipment and getting ready for the ascent. Hours quickly stretch into days as you group together and crunch up the workload. Some will fix ropes and others will carry the equipment to higher lands. The climb from Base Camp to Camp I is relatively easier. However, as you more towards Camp II the trail gets more rocky and more slippery and this is where your prior experience and shrewdness come into play. Further, reaching Camp III is more strenuous, demanding a proper coordination of the team members. Crests, furrows and crevasses become more common as you get higher; but don’t forget to enjoy the views momentarily. Once at the top, you will have an unforgettable view of the highest mountains on Earth. With porters arrived in the area, make sure you leave no equipment behind. Also do not forget the trash – but the guides and porters will check in re-check before getting ready for the trip back. It will seem like an easy trek of a few hours that will bring you back to civilization. 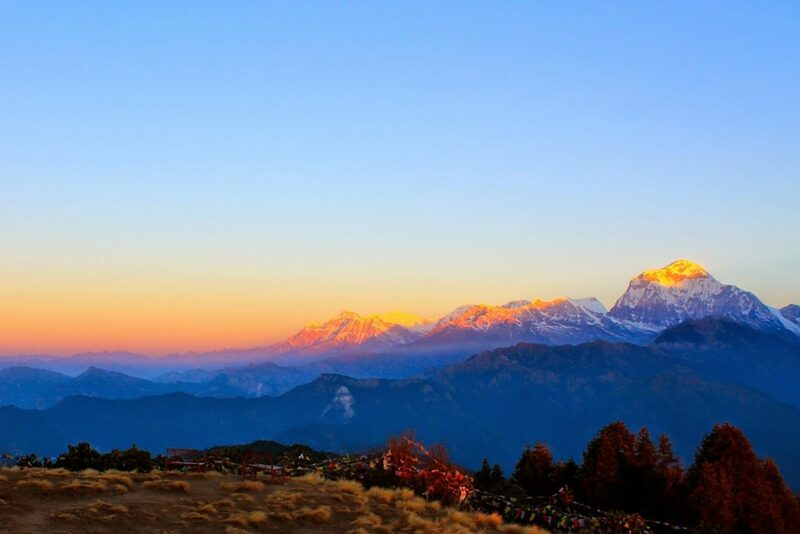 Tengboche is where you will rest for the night – eating decent food and hot drinks! As you come towards the end of the program, you will enjoy the scenic trek back to Lukla. A night in Lukla can become more memorable if you spend it with your fellow guides and crew with whom you submitted one of the greatest mountains in Nepal!